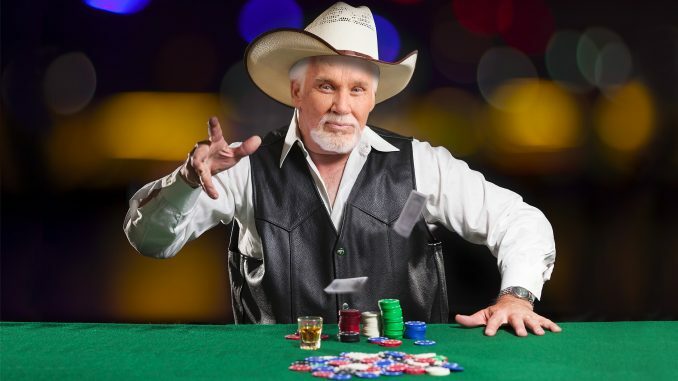 TUNICA, MS—Kenny Rogers decided he knew when to walk away from a Texas Hold’Em tournament at the Horseshoe Casino, a spokesman for the casino reported. After building an early chip lead, Rogers had been roasted by consecutive showdown beats the last several hands before he was dealt the Aces. The player on the button check-raised Rogers, likely a positional move, following Rogers’ standard opening raise of three big blind bets. The spokesman said the veteran country singer and chicken magnate considered his options for some time, rechecking his hole cards and examining his opponent for any tells, before finally stating “I think you have me this time”, and flamboyantly mucking his cards and leaving the table. Pocket Aces is the highest hole hand a player can be dealt. According to the spokesman, Rogers did not realize that he still had chips remaining when he walked away. However, his remaining stack was slowly blinded down until he was finally knocked out on the bubble, the last position before a portion of the tournament prize pool is awarded. The spokesman added that the situation could have been easily avoided had Rogers counted his money while he was still sitting at the table.